Whether you're building a new house or remodeling the exterior of your existing home, the roofing is one of the biggest decisions to make. Composite tile shingles are one type of roofing material to consider. Understanding what it is and what it can offer helps you decide if composite roofing is right for your project. 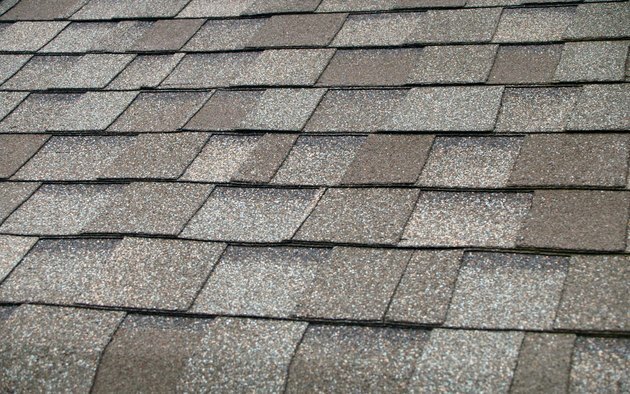 Composite shingles, sometimes called synthetic roofing or a composition roof, use a mix of materials in a hybrid-type shingle. Fiberglass, recycled paper, recycled plastics and asphalt are commonly used in composition roofing. By using multiple roofing materials in one product, you get some of the best qualities of each. They come in many different styles, often mimicking other roofing materials, such as Spanish tiles or cedar shakes. Because they're made with a mix of materials, composite shingles can offer a lot of durability and resistance to damage. They're resistant to fire, mold growth and algae. Plus, they hold up well to moisture, which makes them able to stand up to various weather elements. They're also less likely to warp, crack, peel or split than some other roofing materials. That means your composition roof holds up well over time and looks great. If something happens to one of your tiles, you can replace it individually, so repairs are easier. Many higher-end roofing options, such as cedar shakes, slate and clay tiles, come with a hefty price tag and a fair share of maintenance issues. Many roofing materials are also heavy, which requires a strong enough structure to support them, and installation can be complicated. Composite roofing gives you the look of those materials with more durability and less potential for damage. Composite is also much lighter than traditional roofing materials. That can ease the load on your roof and make them easier to haul and lift to the roof for installation. If you're trying to make your home more environmentally friendly, some composite shingles can help you do that. Look for a composite product that uses recycled materials if you want a green roof. For example, some products use recycled plastics to create the roofing tiles. One of the biggest questions homeowners have when choosing roofing material is how long it lasts. A comp shingle roof often lasts longer than other roofing materials. Because of their durability, composite shingles often come with warranties of 30 to 50 years. If you're considering a composite roof, compare the different options and the warranties they offer to invest in one that will last. Composite roofing gives you an alternative to traditional asphalt. You can choose the look of almost any type of roofing material and enjoy less maintenance in a durable, lasting product.